Prayerbooks open, music compilations at hand, iPhones for downloading audio and video. And a dozen members of the Vassar Temple youth group. 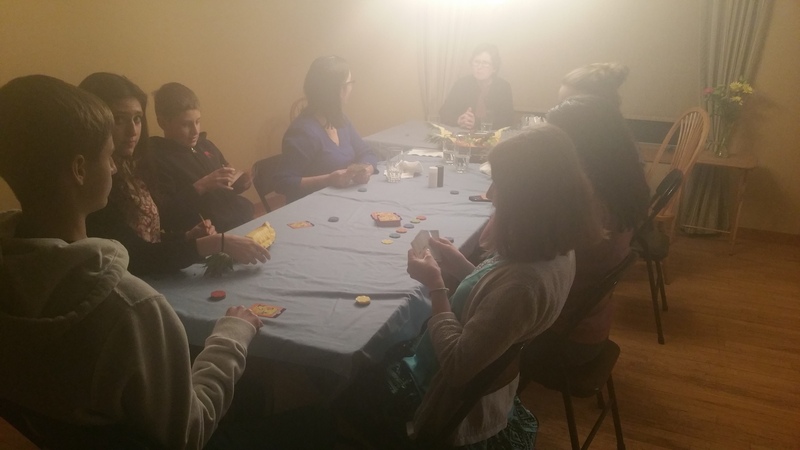 Such was the scene yesterday evening when Vassar Temple teens worked over dinner to craft a worship service. Which songs come from the traditional Friday evening Psalms? What melody should we use for Lecha Dodi? Should we sing the V’ahavta in English or Hebrew, and how does that choice influence the Shema that comes right before? Do we want a festive mood or a contemplative one? How long should the service last? What parts do we want to write ourselves? And so on. 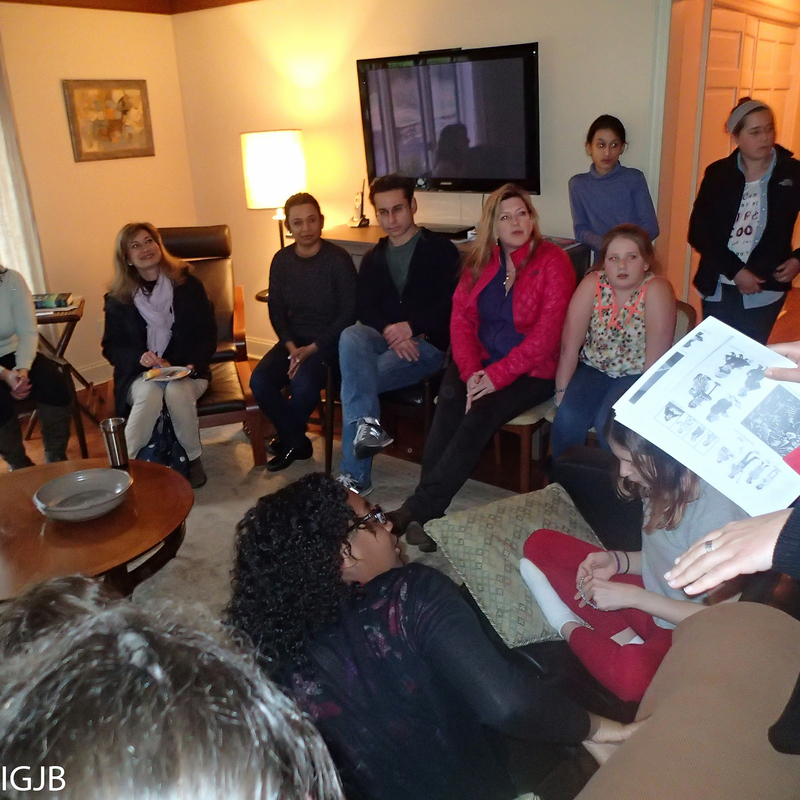 Guided by the youth-group president, the teens reviewed 3,000 years of Jewish tradition as viewed through the lens of contemporary American Judaism. The result, a gift to the community, will be a remarkable worship experience on Friday, February 20. You really don’t want to miss it. 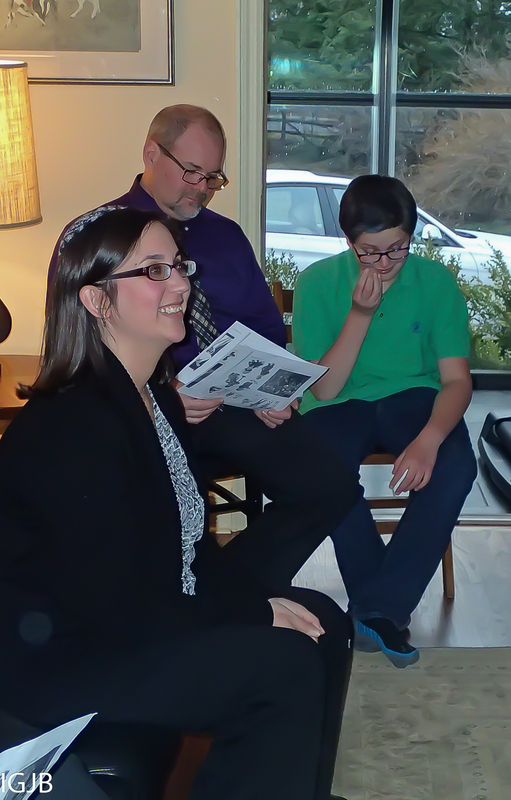 As you know, we have recently hired Rachel Cohen as the adviser of the Vassar Temple Youth Group. Our goal is to build a strong, vibrant youth group at Vassar Temple. The Vassar Temple Youth Group is for students in grades 8 – 12. I am currently serving as the Youth Committee Chairperson. I will be sending out periodic parent updates in order to keep you in the loop and to foster communication (and hopefully to encourage participation). Vassar Temple is now part of the New York Area Region of NFTY (National Federation of Temple Youth). This is the Reform Movement’s youth program. In November, three of our teens participated in the Fall Kallah at Kutz Camp in Warwick, NY. Back in my day, they used to call these retreats or conclaves. Below is a summary of the Fall Kallah weekend. I hope you will take some time to read it and then discuss with your teen the possibility of attending the Winter Kallah from January 9 – 11. Please note that the Kallah is only open to students in grades 9 – 12, however, I am including 8th grade parents in this email in order to keep you informed. The Spring Kallah at Eisner Camp will be open to 8th grade students. There is an early bird discount until December 23. If cost is an issue, please talk to Rabbi Golomb. There are scholarships available through the Sisterhood. Winter Kallah will be hosted by Temple Shaaray Tefila in Bedford Corners. The early bird registration price of $175 is available through December 23rd. 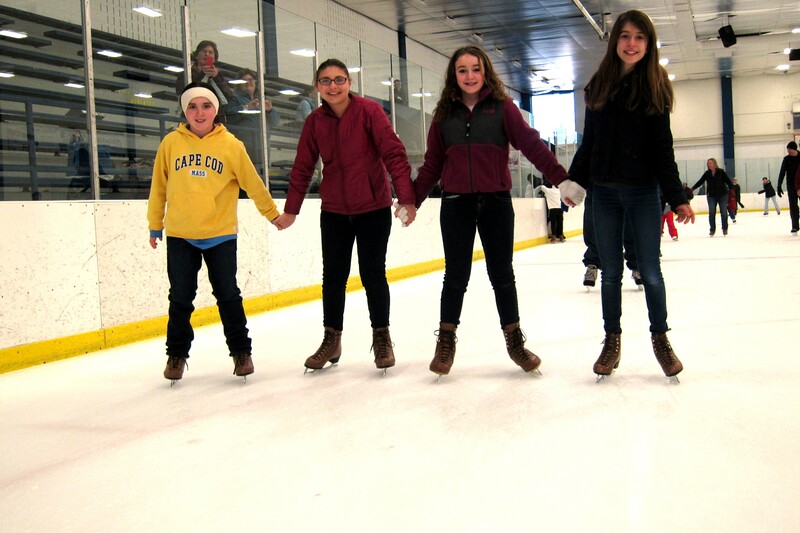 You can register for Winter Kallah online at http://www.nfty.org/nar/events/winter/. If you have any questions, please do not hesitate to email or call me at 635-9854. I will be available until December 20 to discuss the Kallah. I wish you all a very happy Hanukkah. The Vassar Temple Board of Trustees is thrilled to announce the election of Brianna Erlebacher as Youth Group President. 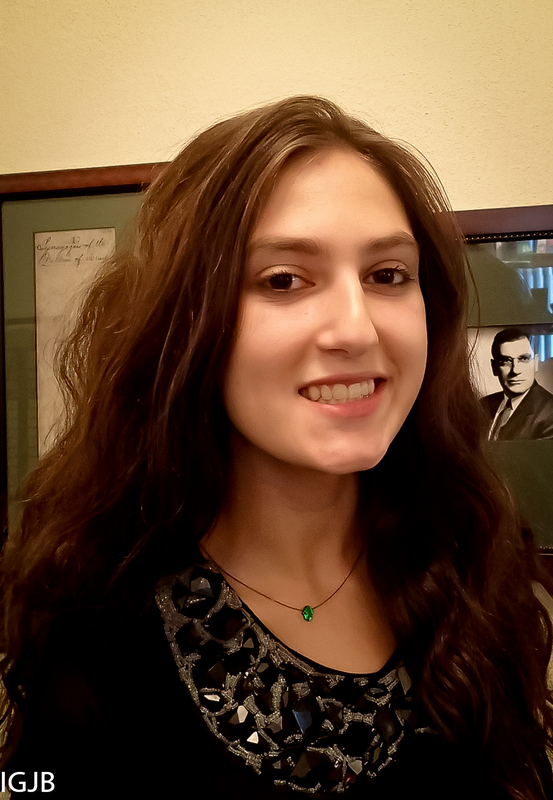 Brianna follows in an illustrious family tradition; her parents Melissa and Seth (z”l) were deeply involved in Jewish youth activities, and her sister Rachel was a recent YG President. Jacob Moore, Vice President; Tara Lerman, Treasurer; Olivia DiIorio, Secretary; and Zoe Peritz-Greenman, 8th grade representative. 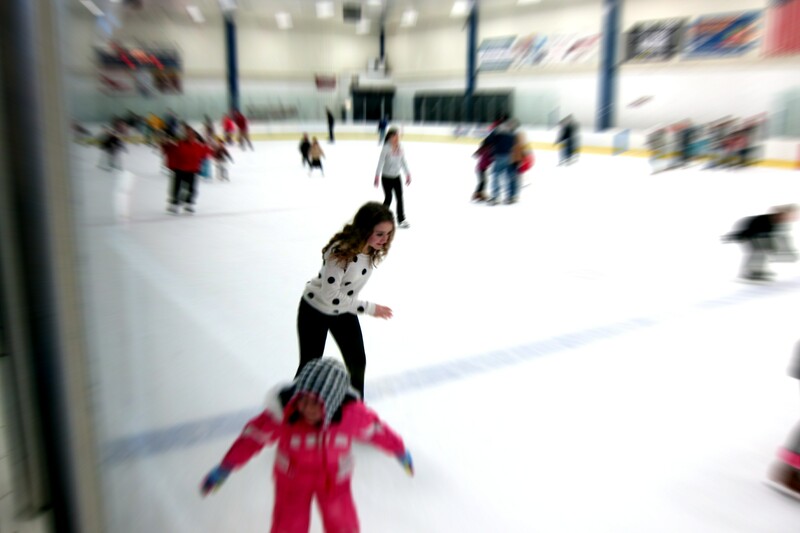 The temple community also welcomes our new Youth Group Advisor, Rachel Cohen, who hails from North Andover, MA. Rachel is a recent graduate of Clark University in Worcester and is currently a student in the Baking and Pastry program at the CIA. She was a collegiate swimmer, diver, and rower. She is an alumna of Camp Eisner, NFTY in Israel, and NFTY EIE High school in Israel. Please reach out to Rachel with any questions or concerns about Youth Group at rachelfcohen@gmail.com. Contact Brianna at youthgroup@vassartemple.org. If you have something in good condition/working order to donate to the new lounge please contact one of them. The Board heartily supports efforts to build a thriving and meaningful Youth Group at Vassar Temple. Please join us in congratulating and welcoming our officers and advisor to their new roles and in wishing them much luck! Three dinners. A youth group meeting. A beautiful Sukkot service. Seventh graders accepting Torah. Dessert under the sukkah. All of this was part of Vassar Temple’s celebration of Sukkot. met in one classroom for pizza. The post-bar/bat mitzvah students enjoyed Chinese food in the sukkah. The parents had pizza and salad (and some purloined Chinese, too). Over dinner, the 8th-12th graders met to organize their youth group, electing peer leaders and starting to plan their year. Then with sundown everyone came together for a celebratory service, during which the 7th graders received their own copies of the Plaut Commentary, a book they will use to prepare for bar and bat mitzvah. Afterward we moved outside to break bread together under the sukkah. As I said during the service, I love Sukkot. Vassar Temple Youth Have Fun and Helping Others! On November 20th, Vassar Temple teens from our Wednesday night school and Youth Group filled baskets with all the trimmings for Thanksgiving meals for seven local families in need. 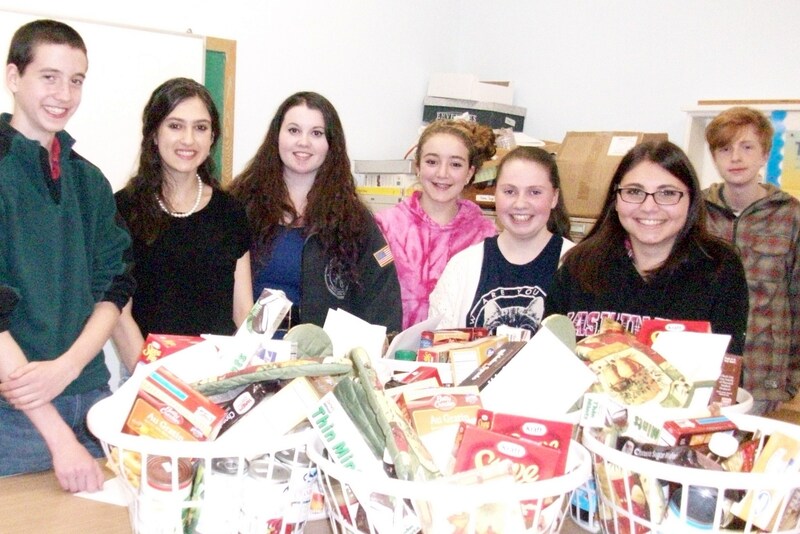 Food for the baskets was donated by religious school students and their families and members. It was delightful to see the young people work together — the energy and sense of team, the smiles were awesome. A great experience putting Jewish teachings about tzedakah (righteous giving) and gamilut chasidim (acts of loving kindness) into action! The baskets were filled to overflowing with all sorts of nonperishable Thanksgiving foods, little treats and handmade cards. Each basket, along with a frozen turkey, will be delivered to a family in Hudson River Housing’s program for families who are being transitioned from being homeless to going into their own real, stable apartment. So our project is enabling them to celebrate their first Thanksgiving in their new homes. 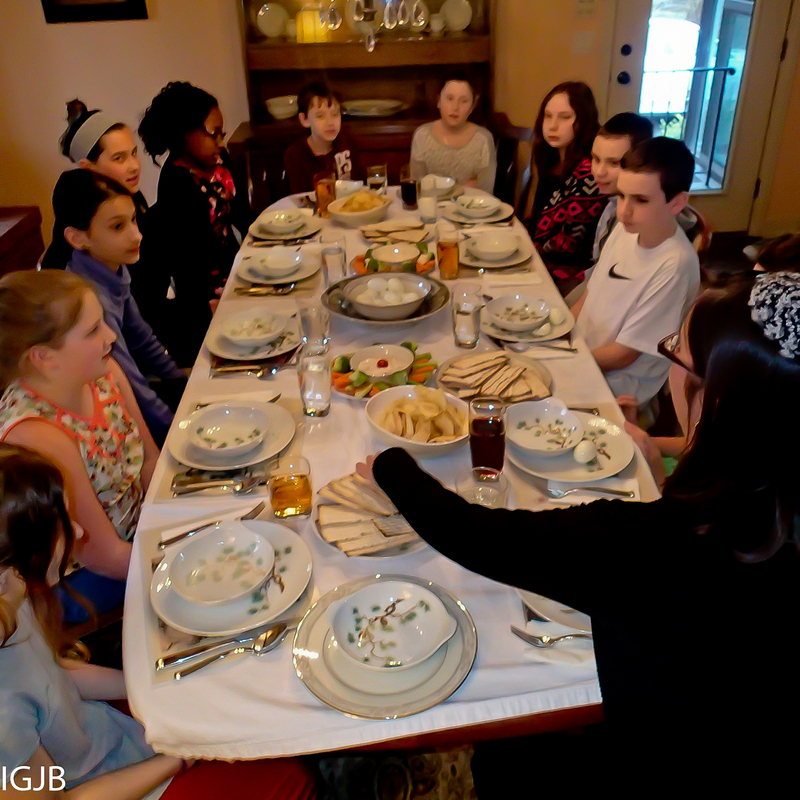 After a seemingly long winter, Vassar Temple post-bar/bat mitzvah students welcomed spring with a picnic as they took their weekly Wednesday night dinner outside. The students, in grades eight and up, meet each week for dinner and classes as part of Vassar Temple’s program of religious education. As part of an ongoing effort to bring the various Jewish communities in Poughkeepsie closer, Vassar Temple hosted an afternoon of bowling fun for teens from local synagogues. Some students bowled in the traditional style, some in more creative ways, and some just watched, as everyone schmoozed and laughed.